Quotations are valid for a 1-week period only. Orders may be placed by phone, post or email. All orders must be made or confirmed by the customer in writing and are subject to our terms and conditions. It is the client responsibility to identify any specific requirements to Villaverde in writing at the time of placing the order. Once full payment has been made, an invoice including specific wiring and customisation instructions will be sent to the customer either via an email or by post. Please read and check the contents of your invoice carefully. If you consider there to be any errors on your paid invoice, you must notify us in writing within 5 working days from the date of payment. Express orders may be possible at Villaverde’s discretion. Please note that your goods for shipment may be crated or of a large scale. Villaverde’s terms and conditions do not affect your statutory rights. For orders shipped outside of the UK, it is the client’s responsibility to notify Villaverde in writing prior to payment, if shipping documentation such as Certificate of origin/Packing list are required by customs at the final destination. Please be aware that fees are applicable for Certificate of origin, the fee varies from country to country. Retail payments can be made by Visa, Mastercard, cheques or bank transfer. Trade payments can be made by bank transfer and debit card only. Payment must be made in full before an order can be placed. Mail order transactions can only be delivered to the cardholder address. Clients wishing to pay via mail order, need to provide ID upon collection of the goods. Villaverde makes every effort to deliver within the scheduled production time frame. Villaverde cannot be held responsible for delays due to circumstances beyond our control. (e.g. shipping companies). Villaverde has a right to reject, refuse or amend an order with no liability where a design would breach health and safety regulations. Villaverde does not provide a delivery service, but can arrange independent shipping on behalf of the client. The client’s chosen method of transportation is solely their responsibility. Shipping costs vary depending on size, weight and fragility of items purchased. All packing, shipping and insurance charges are the client’s responsibility. The client’s courier should provide the necessary insurance to cover the order. A signature from the client’s chosen courier upon collection confirms that they have received the goods in perfect condition. Boxes will be labelled in accordance to the client instructions. Villaverde cannot be held responsible for damage to items once they leave our premises. A full delivery address must be confirmed in writing. If the delivery address changes, it is the client’s responsibility to communicate the change in writing. Villaverde will then need to obtain an updated delivery quotation from an independent shipping company and amend all necessary paperwork. International clients are responsible for payment of their country’s customs duty/TAX. The customer is responsible for unpacking and inspecting the goods immediately on receipt and shall inform Villaverde of any defects or discrepancies, a written notice to Villaverde is required within 3 days of the delivery acceptance. If the customer fails to give such notice they shall be deemed to have accepted the goods. Villaverde will not accept any subsequent claims for damage or shortages which are made at a later date. All products are handmade in Italy per client per order, therefore natural variances may occur. Colour may vary due to the process of hand blown murano, hand painted metal and wood. Natural variances may occur due to leather being a natural organic material. Actual colours may vary from the colour on your screen due to monitor colour restrictions, therefore colour finishes shown online are intended as a guide only. Please contact our London showroom for further assistance. Villaverde does not provide an installation service, the client is responsible for choosing a qualified independent electrician to install their products. Should your product need to be assembled, instructions will be provided. Please make sure the doors/windows of the property are an adequate size to accommodate the size of your product. If additional chain and flex is required, this must be specified at the time of order, extra charges will apply. Lightbulbs are not supplied, it is the client responsibility to identify and source any specific lightbulbs which may be required before installation. Villaverde does not provide ceiling hooks for any suspended light fixtures, the client or their fitter is responsible for purchasing suitable hooks for the weight of the product indicated on the invoice. As stated in our quotations and paid invoice, all ordered products are custom/handmade to the client’s specifications per transaction and cannot be exchanged or returned. Unfortunately, you will not be able to cancel an order once it is made. All products are handmade therefore natural variances may occur. All products supplied by Villaverde comply with current EC European Standards. All lighting is made to EU standards. If UL certification is required, please enquire for further information. Villaverde’s lighting is dimmable and also suitable for LED bulbs, which are not provided by Villaverde. All wiring requests for countries outside the UK should be confirmed in writing at the time of placing the order. Clients will be contacted once their order is ready in Italy, an email confirmation is required to proceed with shipment. Our London team will then notify the client once their goods have been dispatched. Due to insurance and space constraints, Villaverde cannot be held responsible for damage to goods left on our premises beyond 5 working days. 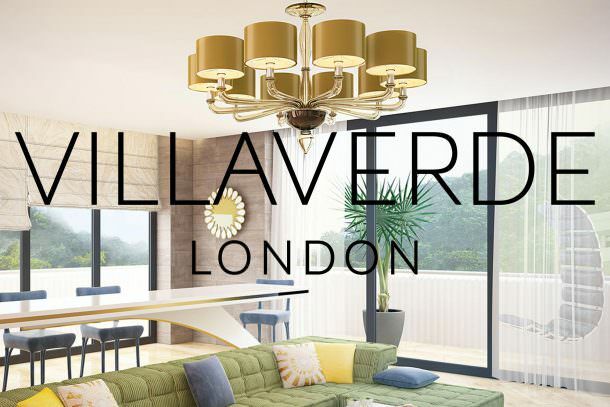 Villaverde do not have storage facilities in London. • This policy summarises the key points about how Villaverde collects, uses and discloses personal data and ensures compliance with applicable laws and regulations. • This policy applies to Villa Verde Limited (Company number 04811243) and our sister company in Italy, Abrissi S.r.l. Villa Verde Limited values the personal information that is entrusted to us by our customers. It is extremely important to us that we uphold that trust in the way in which we handle, use, store and protect personal data. We are committed to adopting high standards in our protection of data and in addressing privacy concerns. This statement explains how we use information you give us and the ways in which we protect your privacy. We may be required to change it from time to time so we recommend checking this statement occasionally. This privacy statement applies to the information you give to us when you purchase goods from us and also when you use our web sites: villaverdeltd.com & abrissi.com. Please note that wherever we link to other sites not covered by this privacy statement we will title links appropriately so the user is aware that they are being forwarded to a third party site. Personal data is information (including opinions) which relates to an individual and from which he or she can be identified either directly or indirectly through other data which the firm has or is likely to have in its possession. These individuals are sometimes referred to as data subjects. • be kept secure to prevent unauthorised processing and accidental loss, damage or destruction. We treat all personal information (which means any data from which you can be identified, including your name, address, email address etc.) that you provide to us, or that we obtain from you, in accordance with the provisions of applicable data protection legislation. We use appropriate technologies and encryption software to safeguard your data, and keep strict security standards to prevent any unauthorised access to it. We also maintain log files that allow us to record visitors’ use of the site. Log files provide us with statistical information on how people use the site and what content people are viewing. Log files do not contain any personal information and they are not used to identify any individual patterns of use of the site. • Personal data relating to users of our websites. • Personal data relating to subscribers to our newsletters and other promotional materials. • Personal Data obtained and created in relation to the supply of our goods. This data will include your name and contact information as well as financial information (payment card details) which you use to purchase our goods. We will use and store this information to process your order and to supply you with our goods. We will keep details of your order (excluding payment details) for an appropriate period of time for purposes of aftercare and any queries raised by you about the products. We may share your contact information with third parties such as delivery companies or installers. The lawful basis for processing this data is performance of a contract with you. This data will include any contact information which you submit to us via the website “contact us” facility. It will also include technical data about your visit to the site including your internet protocol (IP) address, browser type and version, time zone setting and location, browser plug-in types and versions, operating system and platform and other technology on the devices you use to access this website. We may share this data with the website hosting provider. We process this data to administer and protect our business and this website (including troubleshooting, data analysis, testing, system maintenance, support, reporting and hosting of data) and to deliver relevant website content to you. The lawful basis for processing this data is our legitimate interests (to study how customers use our website, to develop our site and service, to grow our business and to inform our marketing strategy). This data will include your contact information to which we send our newsletter and other information such as business information (email address, job title, who you work for). We will use this data to contact you with our newsletter or other communications such as product information and event invitations which we think are relevant to your interests and in line with your preferences. We may share this data with MailChimp (or similar organisations) who administer our email updates and newsletter on our behalf. The lawful basis for processing this data is consent and our legitimate interests (namely to grow our business and to inform our marketing strategy). Please note that we will share personal data with our sister company, Abrissi. We do not disclose your personal data to any third parties outside of the Villaverde network without your permission or where we need to do so to selected third parties for the performance of our contractual obligations (for example to delivery companies so we can arrange to send you your purchased goods) or where we are required to do so by law. We have put in place appropriate physical and electronic measures to safeguard and secure the personal data that we have under our control from unauthorised access, improper use, alteration, unlawful or accidental destruction or accidental loss. You have the right to request a copy of the information we hold on you. You may also request amendments to any personal data that we are holding about you which is factually inaccurate. To request a copy of your personal information, contact us using the details below. You will be expected to provide proof of identity. If you have any other questions or concerns about our privacy statement and practices, please contact us at info@villaverdeltd.com.